So simple yet so amazingly delicious honey soy chicken and green beans stir fry. 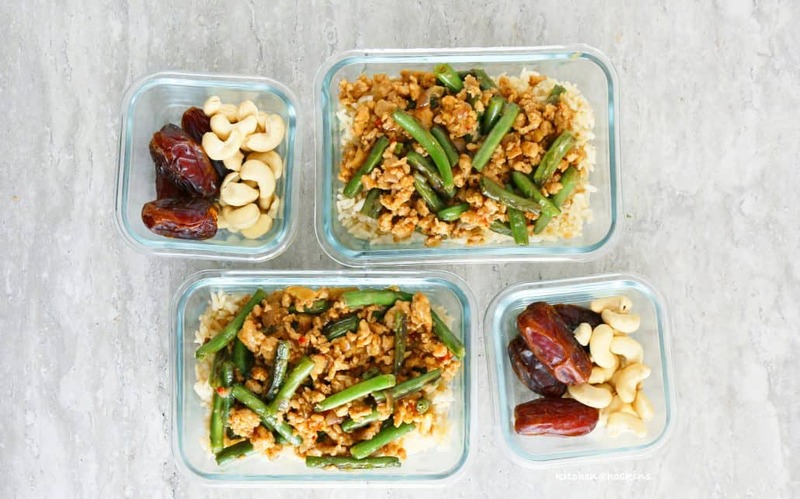 Enjoy for dinner with white/brown rice or meal prep for the week. 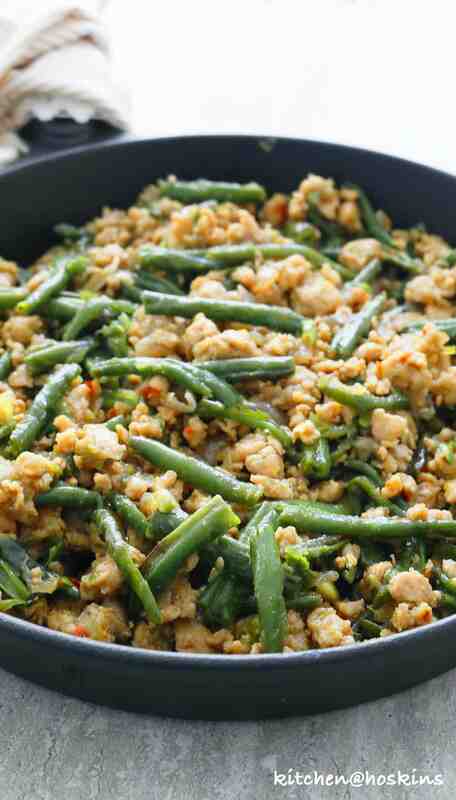 Even your picky eaters will gobble these green beans! 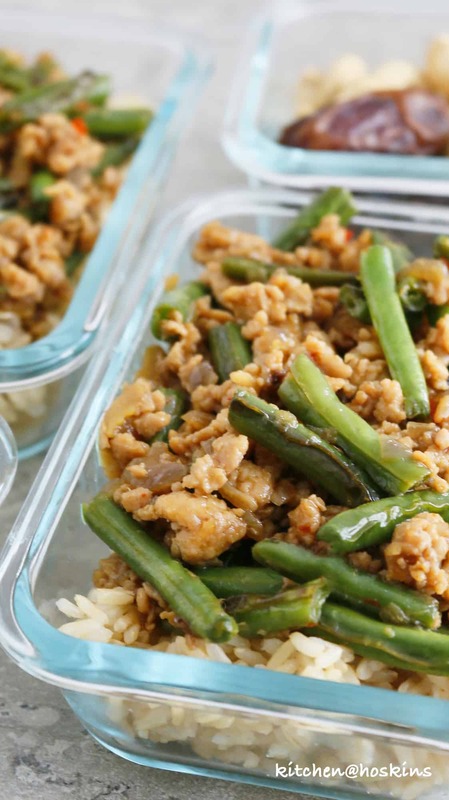 This Honey soy chicken and green beans stir fry is seriously GOOD! Sweet, salty with a hint of spice. 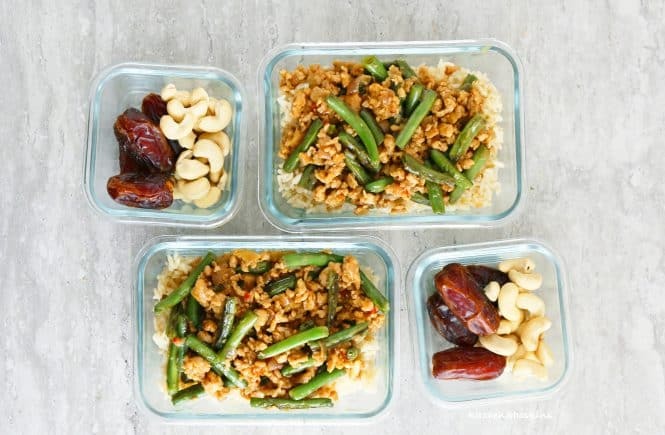 A super quick one pan dinner if you have some cooked rice on hand. OR, make a batch over the weekend and meal prep for the week. Stir fry green beans over high heat. Transfer. In the same pan, saute onion, ginger and garlic. Saute ground chicken, until cooked through. Add sauce and green beans and stir fry until sauce is evaporated. Heap over rice, done and DONE. 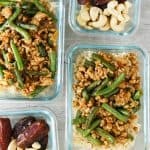 Make Honey soy chicken and green beans stir fry. Portion into meal prep containers, cool and store in refrigerator for the week. 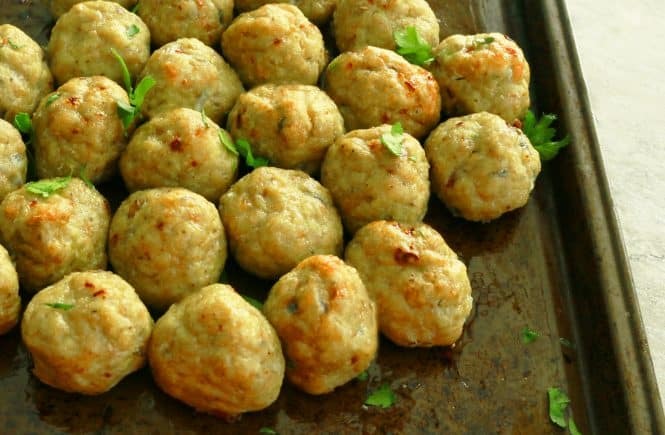 Easy, healthy and super yummy! I know my son and hubby would love this for sure. 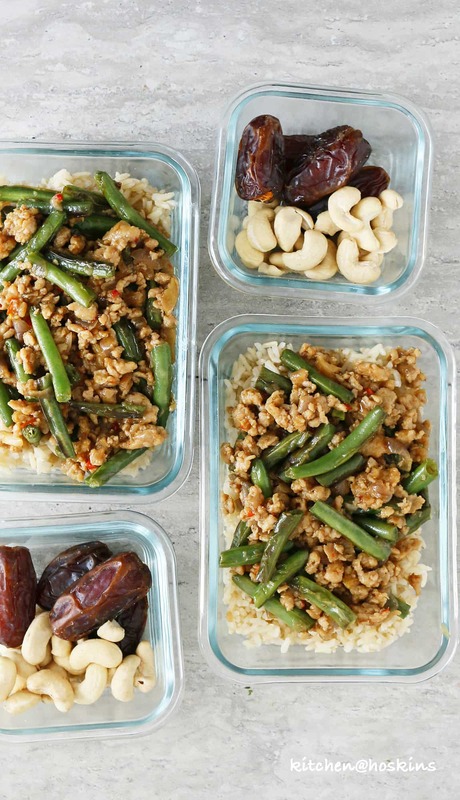 Plus I love meal prepping….makes life so easy for me on busy weeknights!! I need to do more meal prepping! I love every one of your versions! 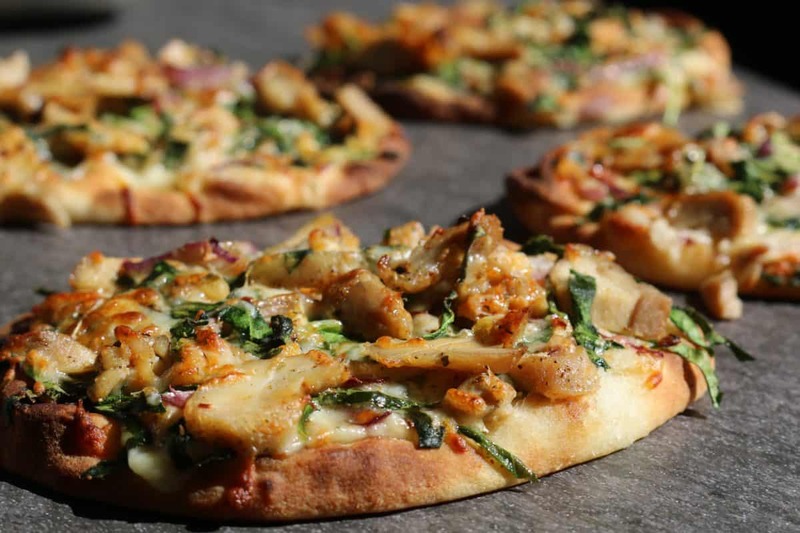 it looks good and it tastes good, so I’m all for healthy and super yummy! This looks so easy! 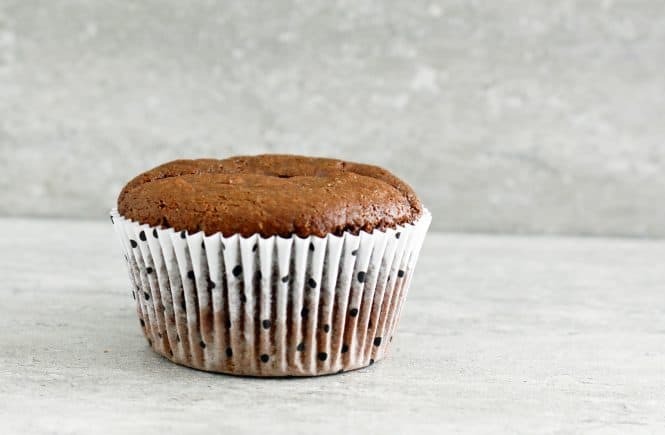 I know my kids would gobble it up – they love the honey and soy flavours. I need to pick up some more sweet chili sauce! !